The Most Trusted Window Brand in the U.S.A. 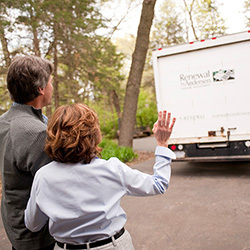 Renewal by Andersen of West Chester, PA is the most trusted, most recognized and most recommended family of window and patio door brands among homeowners. We are backed by over 100 years of experience in the window replacement and patio door installation industry. 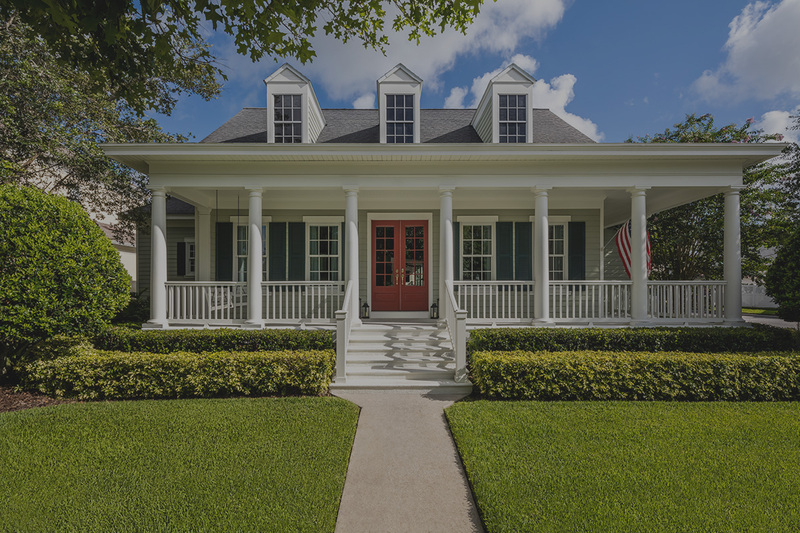 Homeowners recommend the Andersen family of brands more than any other replacement window or patio door brand in America. We always begin with an in-depth consultation where we prepare questions that guide us towards determining your exact window or door needs. Then we apply the information gathered towards manufacturing your windows specifically to your home. Our Certified Master Installers undergo rigorous training to ensure the job is done right every time. All our replacement window and patio door products come with a powerful limited warranty which covers not only the product, but the installation as well. Renewal by Andersen of West Chester, PA’s windows will help you save money on your energy bills. Not only do our windows save energy in your home, they’re also better for the planet. We’re the first window company to be Green Seal certified, so you know we’re committed to overall energy solutions. 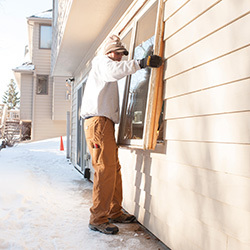 Fibrex® window frames are made with 40% reclaimed wood fiber to reduce waste and provide a tougher seal.Our energy-efficient replacement windows are designed to help you and your family stay cool in the summer, and keep warm during the winter. Renewal by Andersen of West Chester, PA’s windows and patio doors meet the strictest indoor emission standard in the U.S. Better for you and better for the environment, Renewal by Andersen provides an unmatched window product. Learn more about energy efficiency in our featured video. Renewal by Andersen is a start to finish replacement window and patio door installation company. 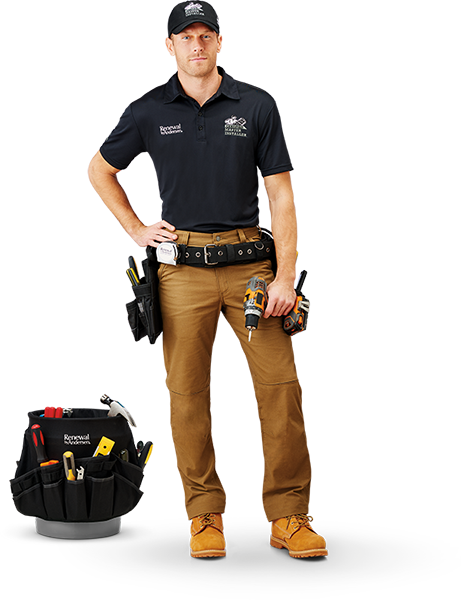 We will take you all the way through the installation, and if there is any service work that needs to be done after the installation, we will send someone back out to make sure that everything is taken care of. A great window is only as good as the window installer behind it. That is why Renewal by Andersen trains our window technicians to ensure that they live up to our standards of high quality customer care and an incredible replacement window and patio door product. We are dedicated to providing you with the best replacement window installation experience possible. Fibrex® material is crafted from reclaimed wood and polymers, can help reduce heating and cooling costs, and reduces VOC emissions – all of which helps keep your energy costs down so you can live little bit greener and a lot more energy efficient. 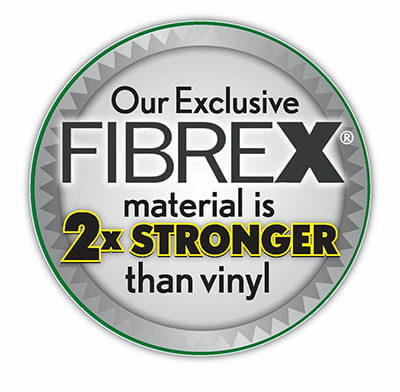 Fibrex material is made of 40% reclaimed natural wood composite and polymers, so it provides the look of wood but with a strength twice that of vinyl. 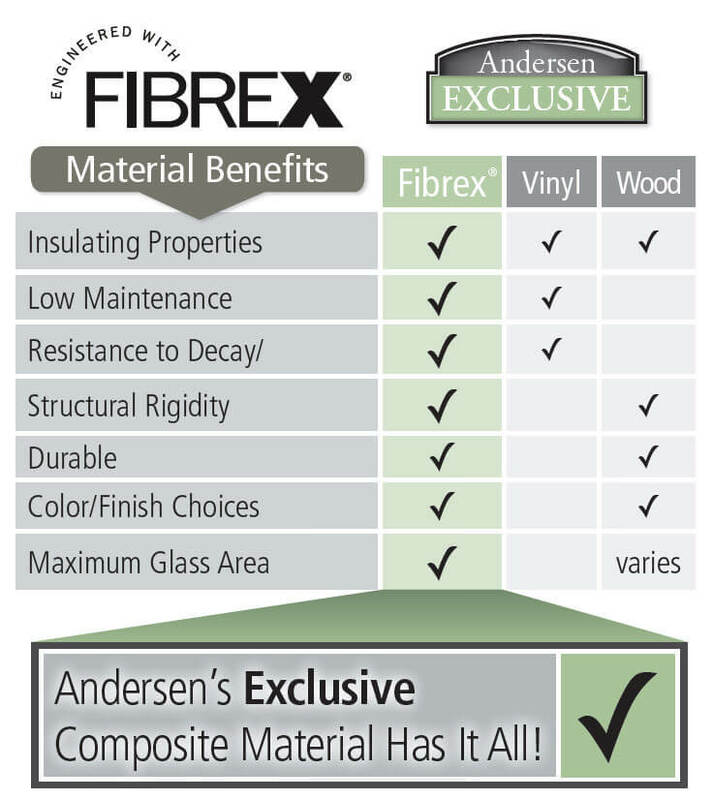 Renewal by Andersen Fibrex frames are available in a wide range of color that includes darker colors not usually available in home windows. We wish all companies were as professional and thorough as Anderson is. Our installation went extremely smoothly from start to finish. The representative who originally came to our home also came as the installation was being completed to make sure that everything was done to our expectations. The installer took time to answer any questions we had. The Anderson team is fantastic! We were very satisfied with Renewal by Andersen through the whole process. They did an excellent job and clean up. Their product is superior. Would recommend to anyone. Christopher Hoffman was our salesman. He was very professional, knowledgeable, curtious and friendly. He explained all our options and answered any questions we had. I would recommend him and your company anyday. We were very happy with the entire process, from the initial sales meeting to the installation. The team on site was very efficient and careful during the installation process. I would recommend this product. Excellent product, excellent installation. Could not have hoped for a better process. The agreement was made and the product was delivered on time and installation was executed with precision by Dimitri and Dennis. They were efficient and clean in the installation process of 12 windows in one day. The entire process was amazing. Our representative, John, took two trips down to us to teach us about the product and ensure we understood the process start to finish. The installation went smoothly and because part of the exterior was not finished as agreed upon initially a second trip was made no questions asked. The tradesmen were skilled and efficient and when the process was completed the door looked and functioned beautifully. We are 100% satisfied and very happy we went with Anderson. Great experience. Andersen made sure we were 100% satisfied - even after finishing the installation. Installation team was hard-working, knowledgeable and professional. They worked like a team. This team is fantastic. Second installation with this team. The entire process from the sales rep to the installers were amazing. Not to mention the windows themselves. In comparison to some of our other windows from other installer, which have condensation on cold days, they are cold to the touch where these windows are warm to touch and the others are drafty on windy day. There are no drafts that come in with these windows. They are amazing! I only wish I could afford to get my entire house done instead of the all of our front windows which we were able to afford right now.